In 1974 I developed serious low back pain that prevented me from doing most activities. I sought the help of MD’s, DO’s, physical therapists, and ultimately chiropractors. Between 1974 and 1999 I had seen 28 MD’s, DO’s, and physical therapists. I also had seen 22 chiropractors. Not a one of those health care professionals could find the cause of my problem. The chiropractors did help me with the intense pain, but, as the years went by, I got worse. I was so bad at one point that I couldn’t get out of bed to use the restroom! Because of my great interest in chiropractic and its philosophy, I decided to become a chiropractor and went to Parker College of Chiropractic in Dallas. It was while in school that an intern, using the Gonstead system, discovered the source of my problem. I have a 3/4 inch anatomically short right leg! That fact had eluded the 50 other health care people. Since I have all five things necessary to wear a lift, I have my shoes made to accommodate the short right leg. Regular adjustments have kept me healthy, and now live a normal life again. I became so interested in the Gonstead system of chiropractic that I managed to get the highest grade in the Gonstead course at Parker, and attended several seminars to increase my abilities. It wasn’t that the many other techniques didn’t work on me, they just didn’t find the underlying cause. I tell my patients that chiropractic in general is far better than pills, potions, or lotions. Recently, I became trained in a new technique called KST (Koren Specific Technique) developed after the death of Dr. Gonstead. It has been synthesized from several existing techniques, and research. Dr. Tedd Koren introduced this technique to the chiropractic profession in 2008, first by using his technique on himself, his family, many chiropractors (who are difficult cases due to many years of manual adjusting), and finally, by way of seminars, to the profession. Because of its success in difficult cases, it is gaining acceptance with chiropractors. I attended my first KST seminar in Oct. 2012. Because of Dr. Koren’s keen interest in finding the underlying cause of disease, and the very specific way to find, and remove it, my interest was piqued. My own case is difficult for most techniques to find and correct (see my story above). Dr. Koren not only found the problem without me telling it to him, but he corrected it using his technique. As I have a chronic problem, I have had to see a chiropractor on a weekly basis, and have done so for many years. Since October 2012, I have used KST on myself. I haven’t been adjusted by another chiropractic technique since then. For six months I tested KST on myself, my wife, my kids, my grandkids, and my patients. I am getting as good of results as I did before, in some cases even better. It is not that Gonstead isn’t effective, because it is. My ability to adjust using Gonstead has diminished as I get older. In other words, if you are already going to an exclusive Gonsteader, KEEP GOING! However, in my practice, be assured that you will get the results you want in my clinic. It isn’t easy to teach an old dog new tricks! But, I have assured myself, and my patients that KST effectively finds, and reduces the subluxations, resulting in better health. I am not a stranger to education. I have, over the years, accumulated 4 degrees. The last degree before my Doctor of Chiropractic degree was a Doctor of Ministries degree. 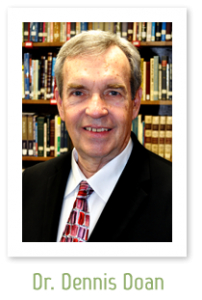 I had come to Oklahoma to be an assistant pastor and principal of a small Christian school. They weren’t able to pay me, so I decided to continue secular work and volunteer for Christian work. I repaired over 6,000 VCR’s in the Oklahoma City area for several years prior to my deciding to become a chiropractor. I wondered that, if our bodies are “Fearfully and wonderfully made” -Psalm 139:14, and our bodies are self-healing, why should we use poisonous chemicals to hide a symptom? This is what sparked my interest in chiropractic – its philosophy is that we are a created being with self-healing abilities. By fixing any interference to our body’s natural processes, we can have optimum health. This led me to become a chiropractor. My biggest reward is seeing my patients go from ill health to good health, regardless of the name of their disease. I have even had a few patients who have gotten better after just one adjustment. That is why I am in chiropractic-helping folks like you. Doan Family Chiropractic is dedicated to utilizing specific chiropractic to find and remove nerve interference (called subluxations) caused by specific areas of malfunction. We only do those things necessary to correct the problem and return you to the best health possible. 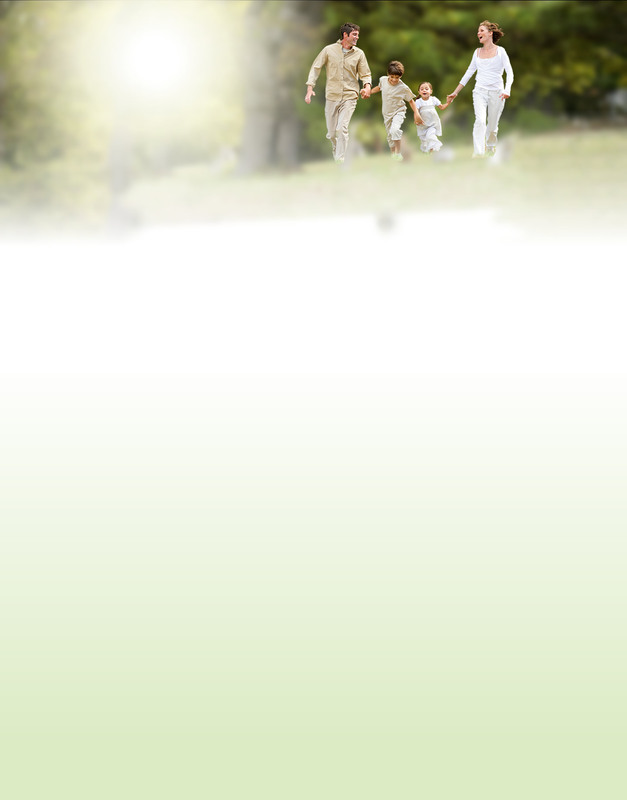 We are dedicated to help the whole family from the “cradle to the grave”. We do our best to help whoever walks in our clinic, no matter what your problem may be. Our goal is to get you, the patient back to your best health possible in as few adjustments as possible. We only do those things necessary to contribute to the your overall health. Pearl and I are the proud parents of four wonderful children. Julie is married to Tyle and has 3 children, Maddie, Sam, and Will. Jonathan is a multimedia designer for the home office of JC Penney in Dallas. Amy is married to Paul and has 3 children, Austin, Kayla, and Amelia. Carrie is married to Andrew and has 4 children, Chase, Ian, Mollie, and Lily. Pearl is an avid reader and overly obsessed with her grandkids. I like to play my trumpet in church and community bands. I am a student of the Bible and teach an adult Sunday School class. I also spend way too much time in my home theater room watching loud movies. Chiropractors need chiropractic care too! How do I maintain my own health? Well, I adjust myself regularly just to make sure everything is in its place. I sell and use the highest quality food supplements. The Chiroflow Water Pillow is my pillow of choice. I sleep on a Sleep Number bed, the only one I recommend. For many years, I have used water as my drink of choice. Extra virgin olive oil is my lipid of choice. I haven’t taken any prescription drugs for many years, except recently I took 3 prescribed Motrin’s after a root canal. When I have any back pain, I use an ice pack on the area for 20 minutes, then walk around. I lead a pretty normal life after many years of suffering with back pain. I am doing activities that I haven’t done in 20 years! I tell my family and my patients that whenever they have a problem, unless it is an emergency, come to me first.. I love being in good health, especially now that Pearl and I are experiencing grand kids! Thank you for visiting our site. I look forward to meeting you and doing my best to help you obtain your health goals. I know what it is like to have a problem that seemingly can’t be fixed, but, I also know what it is like to find something that truly did work. I would like to share that with you and help you enjoy a better life. Give our office a call, or send me an email and let’s arrange a time to explore your options.